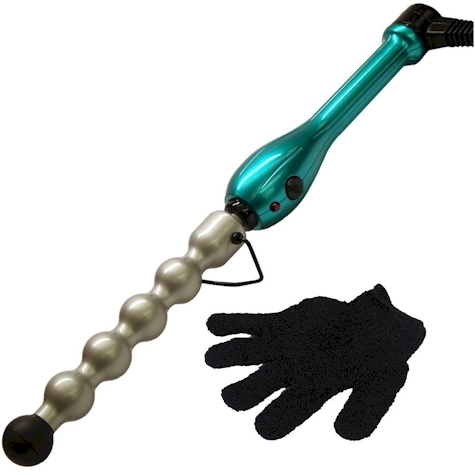 Amazon has got the Bed Head Rock 'N Roller Ceramic Curling Iron in teal, plus a protective glove, for $18.19 with free Prime shipping. Description: The rock ‘n’ roller teal ceramic styling Iron is great for creating both defined spirals or tousled waves. The tourmaline ceramic technology helps create shinier curls without frizz. The clamp-free wrap and go design of the iron prevents kinks while giving you even heat distribution for creating the perfect style. The styler has on/off buttons and an on indicator light. With multiple heat settings and rapid heat recovery, the styler gives you perfect curls, curl after curl. Has a heat protective glove, tangle free swivel cord, a cool tip, and a safety stand so you can prevent burns. Get the Look! 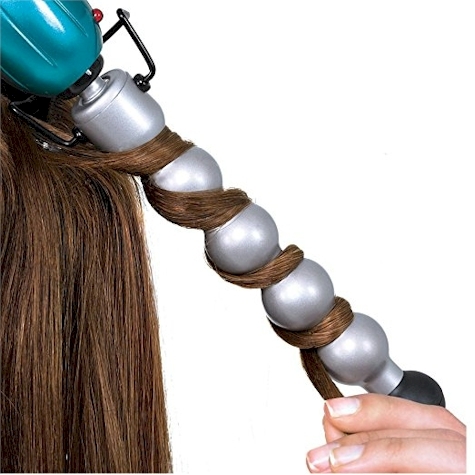 The Bubble Wand Iron will give you defined spiral or tousles waves.